✅ Trip Verified | Absolutely the worst customer service. Nobody is accountable for anything and has no clue of what is happening. I flew from San Jose to Los Angeles on February 11. I accidentally left my wallet on the aircraft. I got a call saying I left it and should collect it from Lost and Found the next day. When I went to LAX nobody had any clue about where it was. The lady at Lost and Found was not helpful and rude. I spent 4 hours at the airport going from counter to counter. I have a voicemail recording saying they found my wallet and then asking me to pick it up. I even spoke to someone over the phone and confirmed the same. However, in less than 12 hours they lost my wallet while getting it from the gate to lost and found. I made several attempts to reach them but nobody answered the phone. When I called the customer service number, they had no clue of how to handle this issue. I filed a report online, but they didn't even respond to that. It shows how careless the employees are with customers' property. They lost something which they themselves found! In less than 12 hours they couldn't even transport it from the gate to the lost and found department. Pathetic. 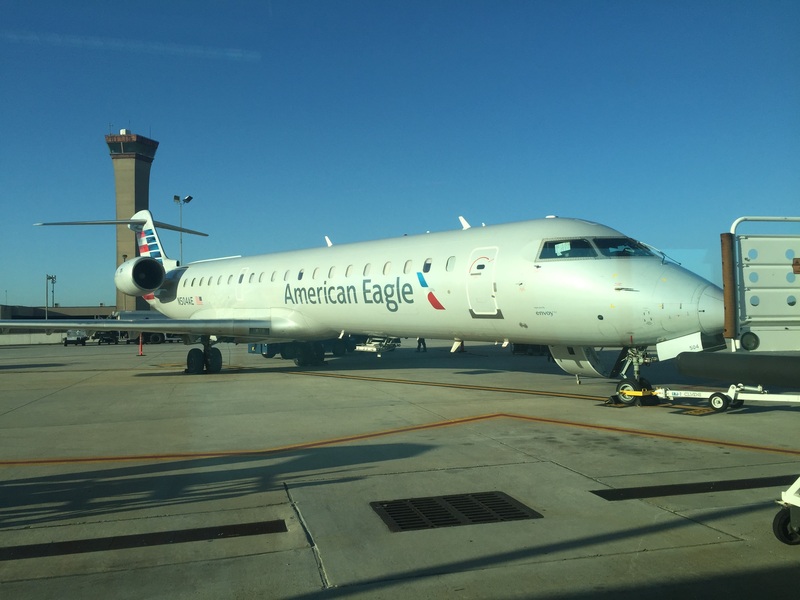 "one of the most enjoyable flights"
✅ Trip Verified | My brother and I had flown from Charlotte to Dulles and originally had seats towards the back of the plane. I am 6'6 and my brother is 6'4 with a prosthetic leg. Our flight attendant watched us struggle to get to our seats and cram ourselves in for the flight. He walked back and invited us to come sit in first class in 2 open seats and proceeded to make it one of the most enjoyable flights we had been on with outstanding service. We will be back to American in the future! 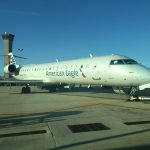 "not first class attention at all"
Not Verified | Flew Louisville to Los Angeles via Dallas Fort-Worth with American Eagle. I was in first class and didn't see any difference. It was an early morning flight and it was cold. They didn't have any blankets. The same food was offered as in the other sections. 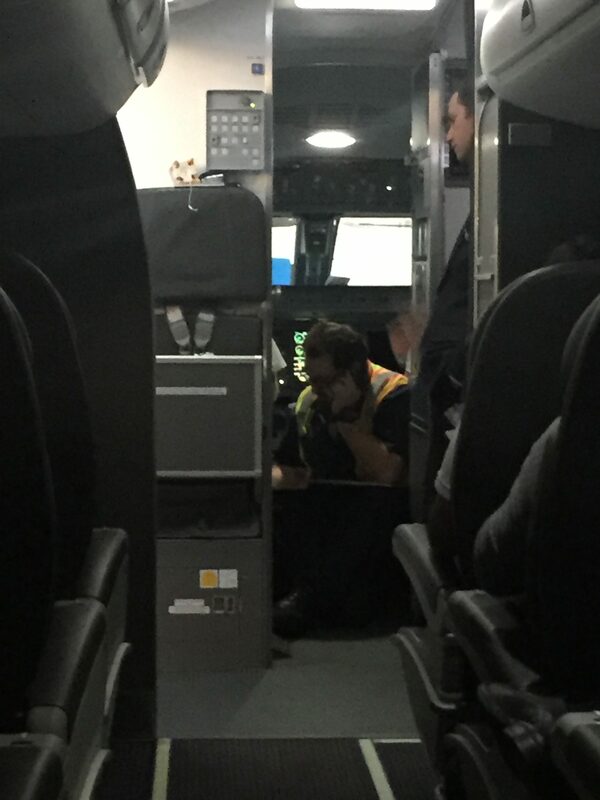 It was not first class attention at all. "caused a 24 hour delay"
Not Verified | Knoxville to North Eleuthera via Miami. One mechanical problem followed by another, compounded by a breakdown in ground equipment caused a 5 hour delay at our origin. As a result, we missed our connection in Miami despite scheduling a 3 hour layover. This caused a 24 hour delay. As a result we miss at least one day of vacation, a day we have to pay for. The information provided while waiting on the tarmac for almost 3 hours was infrequent and unhelpful. "Customer service" was provided only grudgingly with every attempt made to provide minimum assistance. ✅ Trip Verified | Salt Lake City to Los Angeles. The flight got delayed because of a lengthy De-icing process. Service was friendly for a very short flight, just drinks and snacks. Landing in LAX was very smooth and luggage delivered on time but the American Eagle terminal is uncomfortably distant from the main terminal in LAX. ✅ Trip Verified | Charlotte to Toronto. Never travel by this airline. The staff is very bad, rude and not at all friendly. We pay for our flight and in return we at least want a smile or a courtesy but do not expect it from this airline. ✅ Trip Verified | Kansas City via Dallas Ft Worth operated by Mesa Airlines. If you're going to make your passengers slum their ride home, don't upcharge for premium seating. 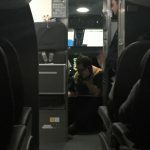 They wont provide even their first names for complaints and when I tried to show my receipt and what my upgrade included, the female flight attendant stormed off. I sat in 4F from MCI to DFW arrived 12/19/18 at 9:04 pm. This is the ghetto of airplanes and service. Bad form, American. I'm seriously thinking of switching to United for my weekly flights. "not be using this airline again"
✅ Trip Verified | Nashville to Chicago. My initial flight was an hour and a half late. No reason for the delay was given. I ran through the airport to catch my connecting flight and they refused to let me board with 10 minutes to spare. The plane was still stationary and attached to the gate 25 minutes later. I asked them the soonest they could get me a flight to my destination and they replied curtly. "4 PM, tomorrow. That's all we can do". They had me in tears - will not be using this airline again. "never fly American Airlines again"
✅ Trip Verified | Charlotte to Knoxville. First the flight was delayed by one hour. After we finished boarding we had to wait additional 20 for a crew to arrive from another flight. Then we arrive in Knoxville and we had to wait on tarmac for 30 mins to be taken closer to the airport. I will never fly American Airlines again. ✅ Trip Verified | Detroit to Chicago. The seats were super comfortable for an airplane in this size. Even this small airplane has wifi onboard. We arrived so early so we had to wait for ground service which took too long and we exited the aircraft at the exact estimated time, so we didn't loose anytime.